Are you covered under UnitedHealthcare’s Medicare Supplement with AARP or Optum Fitness Advantage? THE SHAW JCC IS AN APPROVED FACILITY UNDER THE NEW PLAN, which will begin on January 1, 2019. If you are a current SilverSneakers member with the Shaw JCC, we are eager to discuss your options with you to ensure a seamless transition of your SilverSneakers® membership at the Shaw JCC. Under the new plan, you will continue to have total access to the Shaw JCC facility - indoor and outdoor pool, fitness center and group fitness classes - that sets us apart from other workout facilities in the area. Contact Brenda Hite at bhite@shawjcc.org or 330-835-0049 for more information. Older adults can take advantage of SilverSneakers®, the nation’s leading exercise, health, and wellness program, at the Shaw JCC! 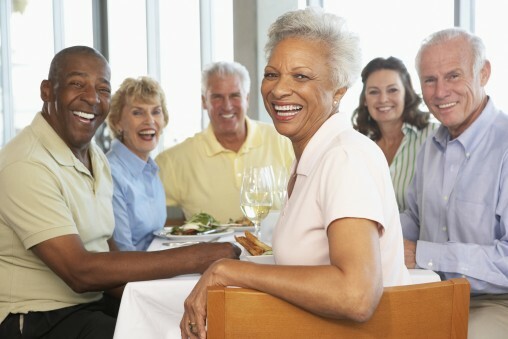 ​Individuals (65+) who are Medicare-eligible may qualify for SilverSneakers® and receive a senior adult membership to the JCC at no additional cost. 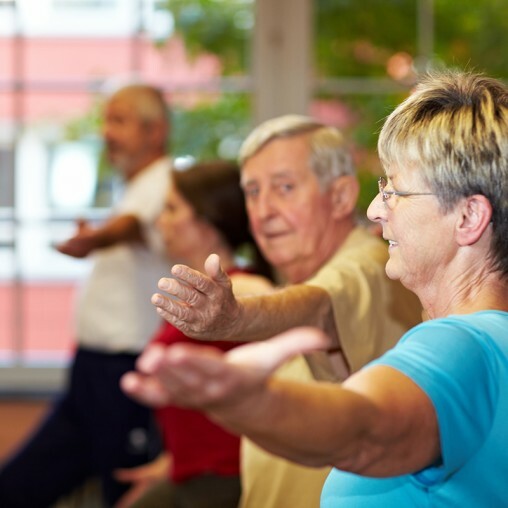 SilverSneakers® members have access to the Shaw JCC’s fitness center, including cardio and weight equipment, indoor and outdoor pools, group exercise classes including water fitness, racquetball and tennis courts and full gymnasium. The Shaw JCC offers a full menu of personal training and massage therapy services at a reduced cost for its members. A variety of free health education workshops are offered throughout the year to help older adults with memory and concentration, blood pressure checks and more. SilverSneakers® members are invited to enjoy senior adult programming to include theater going, dining out, playing cards and watching movies. There are more than 13 million people eligible for the SilverSneakers® benefit through the nation’s leading Medicare Advantage health plans, Medicare Supplement carriers and group retiree plans. For those members, the benefit is offered at no additional cost. To check eligibility, go to www.silversneakers.com. For more information or to find out if you or a family member qualifies, contact Brenda Hite at bhite@shawjcc.org or 330-835-0049 for more information. Enter for your chance to win massage and personal training gift certificates and a $50 gift card to D’Agnese’s at White Pond Akron! Simply visit The J a minimum of twelve days per month. Be sure to scan your card when you arrive, and you will automatically be entered into the drawing! It is no longer necessary to have a SuperStar card initialed. SuperStar winners will be announced each month. As a SilverSneakers® member, you know more visits add up to better health. Now those visits can also add up to college savings for designated students, thanks to the SilverSneakers® partnership with CollegeSave. How does it work? Log seven visits per month to the Shaw JCC to accumulate Tuition Rewards® Points for savings on college tuition for students that you designate (from birth to the beginning of their junior year of high school). You’ll earn 1,000 Tuition Rewards Points when you sign up for the program. Then each subsequent month you can earn 250 points, just by visiting a location seven times that month. Each point equals $1.00 in tuition discounts.